2 colour screenprint on 300gm Somerset paper. Limited edition of 30 copies, each with a unique hand-written, printed or letraset sign. The Boundary Line was initially created for Pushing Boundaries, an exhibition organised by The Printmakers Council on from October 2016 - February 2017 in Ireland. See the shows section for details/. 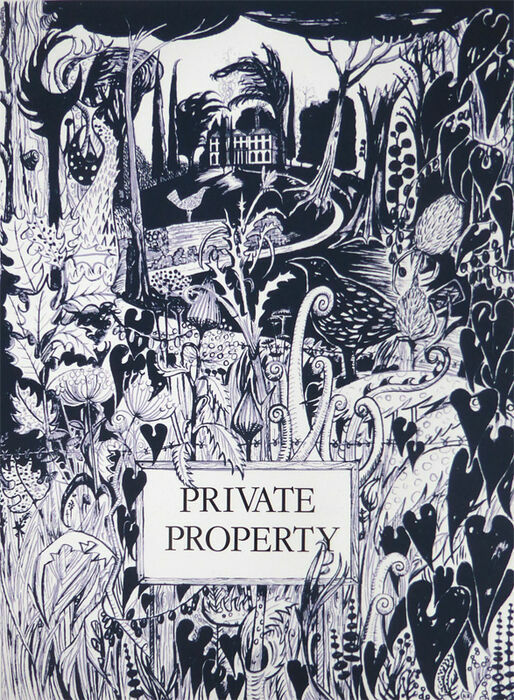 Numbers 1 - PRIVATE PROPERTY. Letraset with some hand colouring. Number 2 HAFOD UCHTRYD. Hand written and fully hand-coloured.